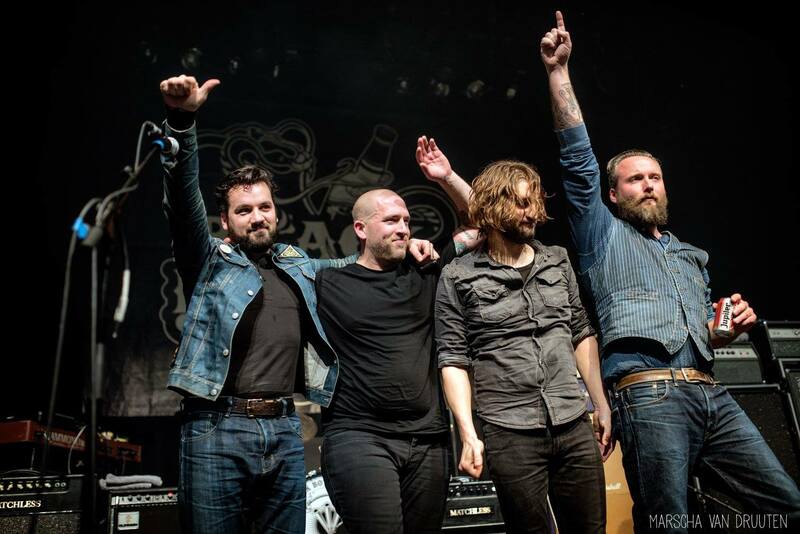 Last Sunday we closed 2015 with a very special gig in our hometown Nijmegen. Thank all of you for coming out and making Pieter’s last gig on BBR drums one hell of a party. In the past 7 and a half years we’ve written, composed, rehearsed, recorded, toured, laughed, fought, smoked and drank till we couldn’t see. That chapter now ends. There couldn’t have been a better way to round it off at the beautiful venue of Doornroosje with so many friends, as well onstage as in front it. Backing vocalists Floor and PennyLeen did an awesome job on ten songs, with the added fuel of Mike Roelofs on Hammond organ and Moog bass plus our buddy and producer Sebastiaan van Bijlevelt on guitars and vocals. This gave us wings and we feel like we took off during the show. What better metaphor can you think of, considering? BBR won’t quit since we’ve got that rambling fever. We’re very excited to inform you in the near future about our new drummer! P.S. Pics of the Doornroosje show can be found HERE (Ariane van Ginneke) and HERE (Marscha van Druuten).